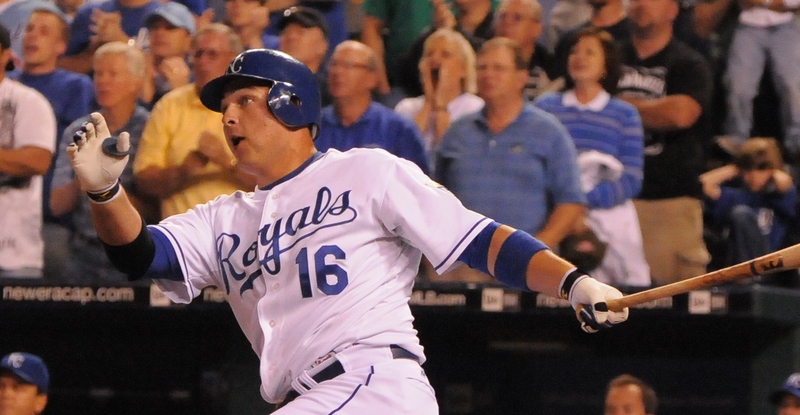 Royals First Baseman Billy Butler joined a rather select club in baseball history last night (September 26, 2009). With his eighth inning double off the Twins Ron Mahay, Billy became just the seventh major league player to ever post a season of 50 or more doubles before the age of 24. The club includes National Baseball Hall of Fame Members Hank Greenberg, Stan Musial and Enos Slaughter along with Alex Rodriguez, Albert Pujols and Miguel Cabrera. Now that’s some good company to keep. Just A Bit More: Hal McRae set the Royals all-time single season best for doubles when he collected 54 during the 1977 season. Billy has seven more games to play and still has a chance to catch Hal in the closing days of 2009. With 50 doubles, Billy has already assured himself of the second best season for doubles in club history. Third place is a tie with 46 shared by Mike Sweeney (2001) and Hal McRae (1982). Butler has already posted four games with three doubles so far this year – so he just may get to the record. Good luck Billy…we’ll be watching! I can’t wait till Butler joins Brett in the future in the Royals Hall of Fame himself! You have a great blog.